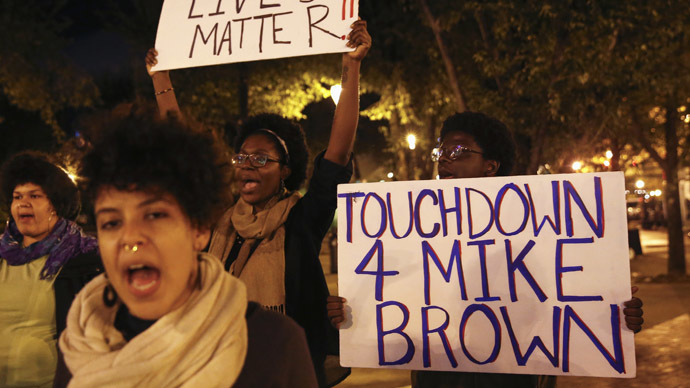 The grand jury's decision was announced Monday evening byBob McCulloch, the prosecuting attorney for St. Louis County. He said that "no probable cause exists" to file any charges against Wilson. A statement from Wilson’s attorney said his client had been following his training and had followed the law, when he shot Brown. Officer Wilson potentially faced charges of first- or second-degree murder, voluntary manslaughter, or involuntary manslaughter. At least nine of the 12 people on the jury needed to agree to bring charges in order to indict Wilson. It's unclear exactly how that vote unfolded. News of the grand jury's decision did not go over well with protesters, some of whom threw objects and began smashing up a police vehicle. Two cars -- at least one of which was a police vehicle -- were set on fire, as was a Little Caesar's pizza restaurant. Officers deployed tear gas in an effort to disperse demonstrators, though St. Louis County initially denied that was the case. 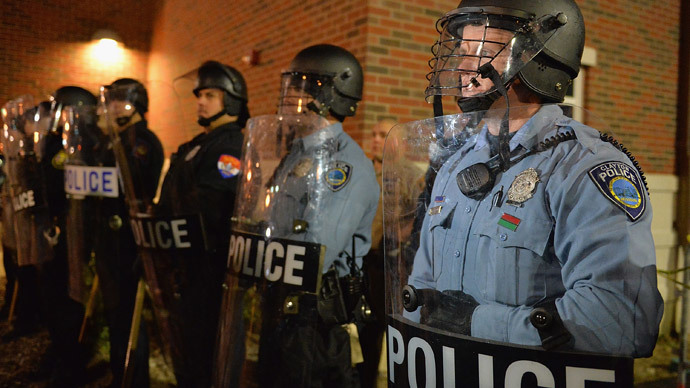 Police later confirmed that tear gas was used, though they said officers used smoke first. Gunfire was also reported, though it is unclear who was responsible. "We are profoundly disappointed that the killer of our child will not face the consequence of his actions.While we understand that many others share our pain, we ask that you channel your frustration in ways that will make a positive change. We need to work together to fix the system that allowed this to happen." 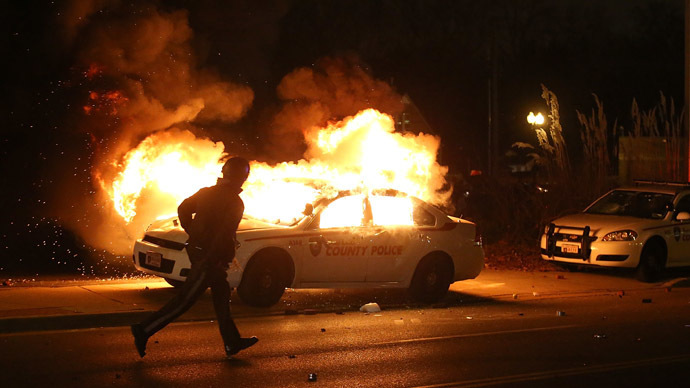 Meanwhile, President Barack Obama called for calm in Ferguson following the decision. Appearing at the White House, he said that a lot of work needed to be done to improve race relations between black American’s and the police. "We need to accept that this decision was the grand jury's to make. There are Americans who agree with it and there are Americans who are deeply disappointed, even angry. It's an understandable reaction," Obama said, which was reported by Reuters. According to McCulloch, the grand jury heard 70 hours of testimony from more than 60 witnesses. Full transcripts from the grand jury process will be made public, he added. He revealed that Wilson unloaded his gun 12 times against Brown, hitting him six or seven times. McCulloch also said that “Mr. 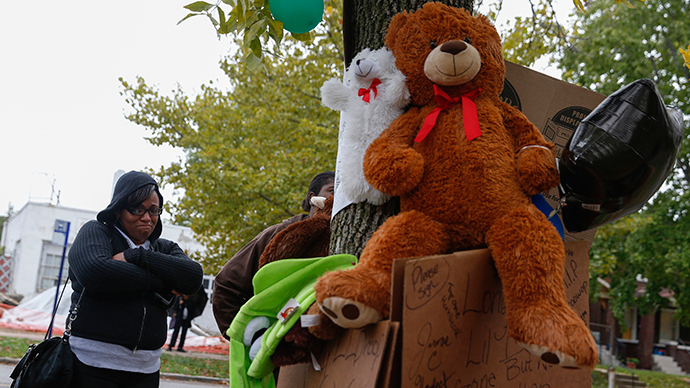 Brown’s blood or DNA was found inside the driver’s door…and on Officer Wilson’s weapon." If true, that would back up Wilson's contention that Brown engaged him physically at or near his vehicle. 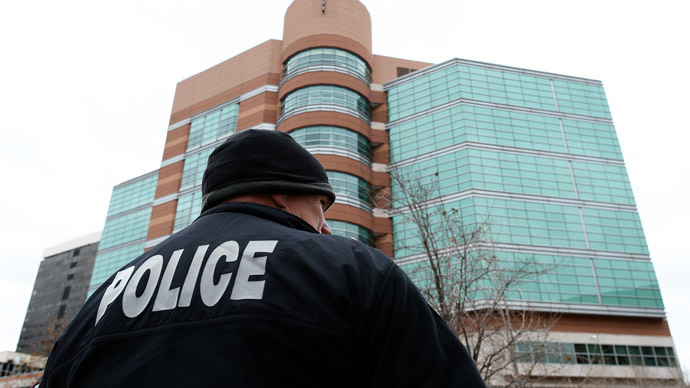 Reports, testimony, and forensic evidence from the grand jury proceedings were published by St. Louis Public Radio. Ahead of the decision, Missouri Gov. 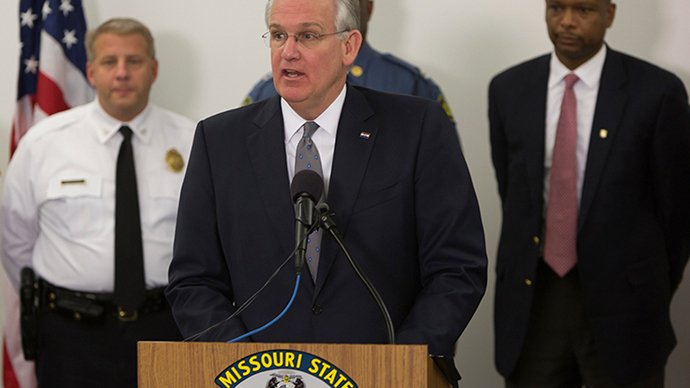 Jay Nixon called for calm and restraint from protesters and police. "While none of us knows what that [decision] will be, our shared hope and expectation is that regardless of the decision people on all sides show tolerance, mutual respect and restraint," he said. The governor added that the state is doing everything it can to"protect lives, protect property, and protect the freedom of speech.”The governor added that police will“continue to maintain open lines of communication”with protesters“to improve interaction”with law enforcement. The decision comes about two months after the grand jury was convened to look into charging Wilson with a crime. Brown was killed on August 9, though there have been conflicting accounts regarding his death. The grand jury heard testimony from numerous witnesses, some of which reportedly claimed that Brown was trying to surrender to Wilson when he was shot. However, other witnesses – as well as Wilson himself – claim Brown was involved in a physical confrontation with the officer before he was killed. According to reports, Wilson told the grand jury that Brown punched him while he was in his vehicle and also charged at him despite orders to stop. An independent autopsy report conducted on behalf of the family found that Brown had been shot at least eight times – six times from behind. Jerryl Christmas, one of the Brown family attorneys, said the results indicated there was no struggle. "The evidence shows that the story we've been given by the Police Department does not match up,"attorney Jerryl Christmas said, as cited by the AP. "There's no evidence that there was a gun battle going on." Meanwhile, an autopsy conducted by the St. Louis County medical examiner found evidence of residue on Brown’s hand that would support the idea that Wilson shot the teenager at close range. Leaked details from the autopsy suggest it also indicated that Brown and Wilson were engaged in a “significant altercation” inside of or near Wilson’s car. Brown’s death sparked immediate criticism from residents and those around the country who believed Wilson used excessive force. 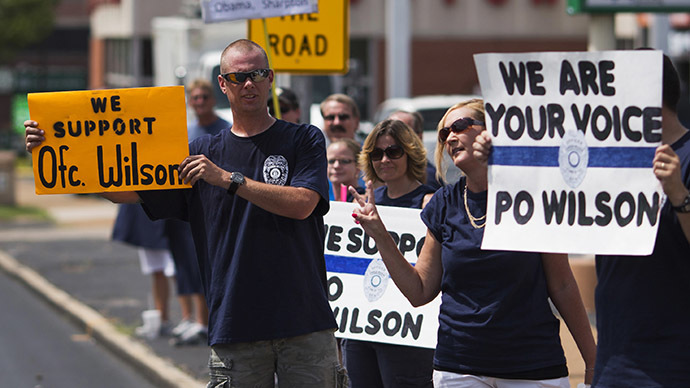 Protesters took to the streets calling for Wilson to be identified – police at the time refused to declare who killed the teen – and for him to face charges. Demonstrations lasted for weeks, with law enforcement responding strongly by arriving at protests in riot gear, with armored vehicles, and by using tear gas to clear out activists.